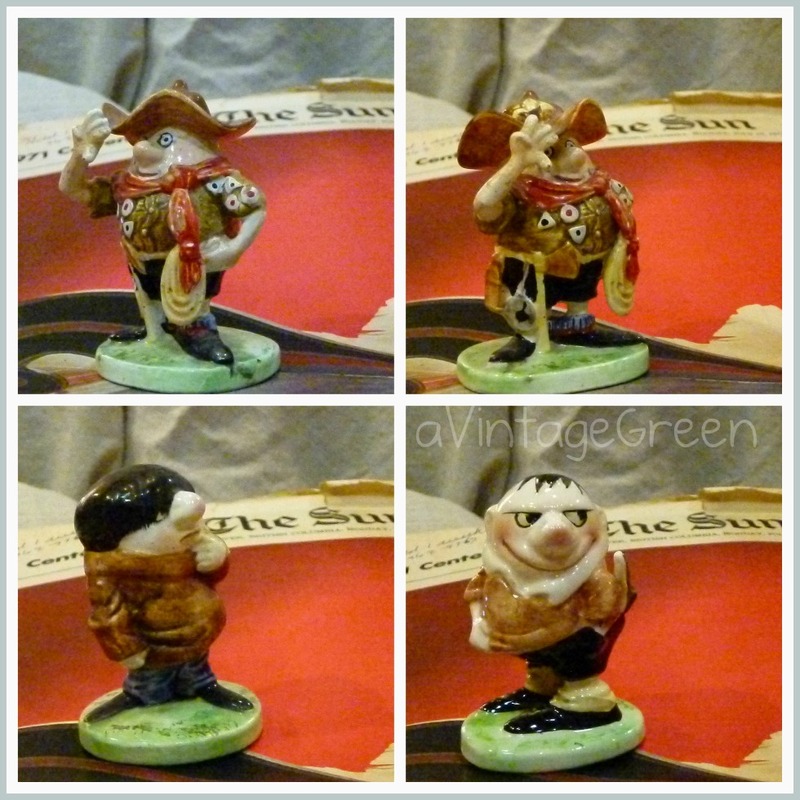 Figurines based on the characters created by Len Norris. Naughty children, stereotyped public workers and perhaps Norris, as the old gentleman in the chair. Len Norris (1913-1997) Political Cartoonist for the Vancouver Sun . 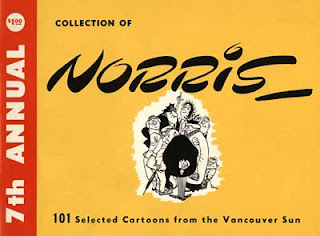 Norris Cartoons were published in the Vancouver Sun for 38 years (read here). 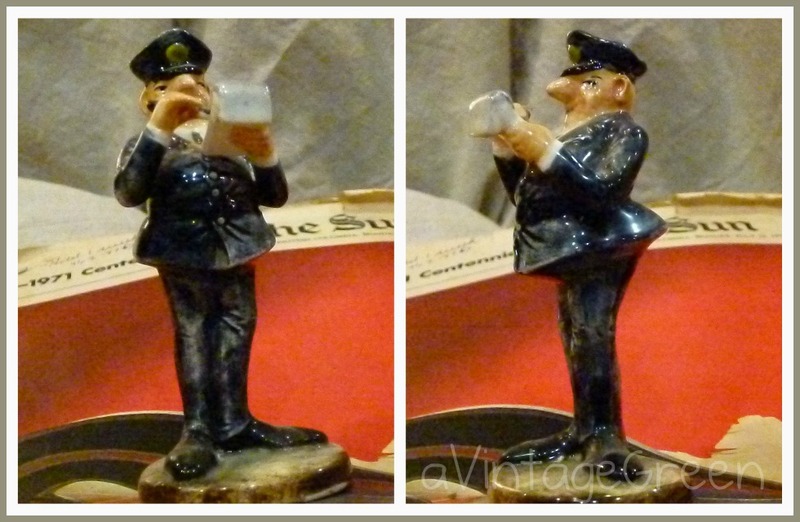 Some of his cartoon characters were produced as figurines. 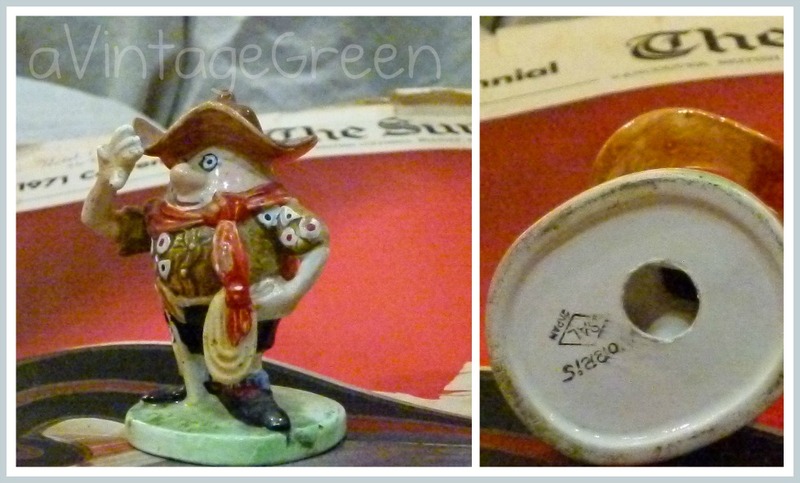 I have been collecting the little fellows for years and thought I would share a few of them today. 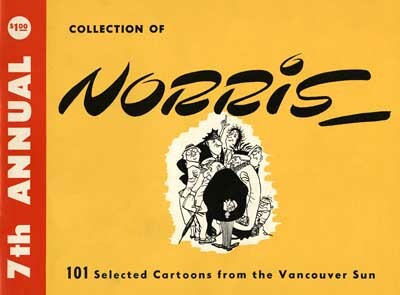 SFU University has a collection of 1660 original Norris Cartoons and writes about Len Norris' history here. The Literary Tourist published one photo from the SFU collection here. Some of the collection from SFU can be seen here. The British Gentleman as envisioned by the West End resident, exaggerated. with the scamp and the shy boy. oh my I remember those cartoons....I remember we had a yellow book too!...Wow to your figurines!...Great collection! Miss Nosy is the cutese. I've never seen these-thanks for the peek!! These are new to me, and fun to learn about. Great collection! I love that you told us the background! What a neat collection! I am totally unfamiliar with these and they are delightful. What a fun collection! 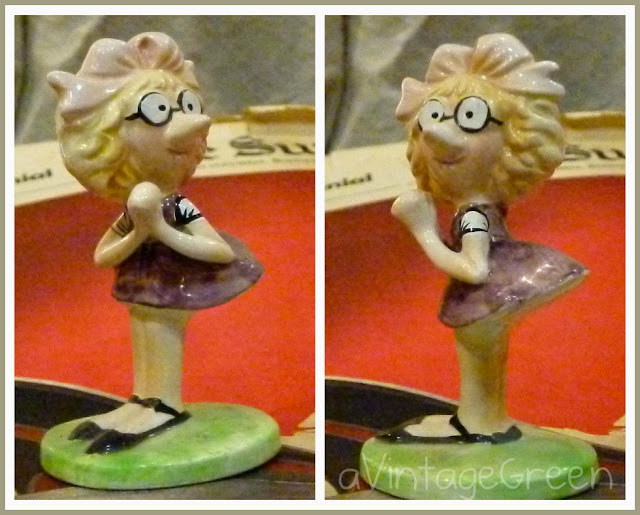 I'm not familiar with the work of the cartoonist, but the figurines are delightful. Thanks for sharing at Time Travel Thursday. I hope to see you this week, as well. 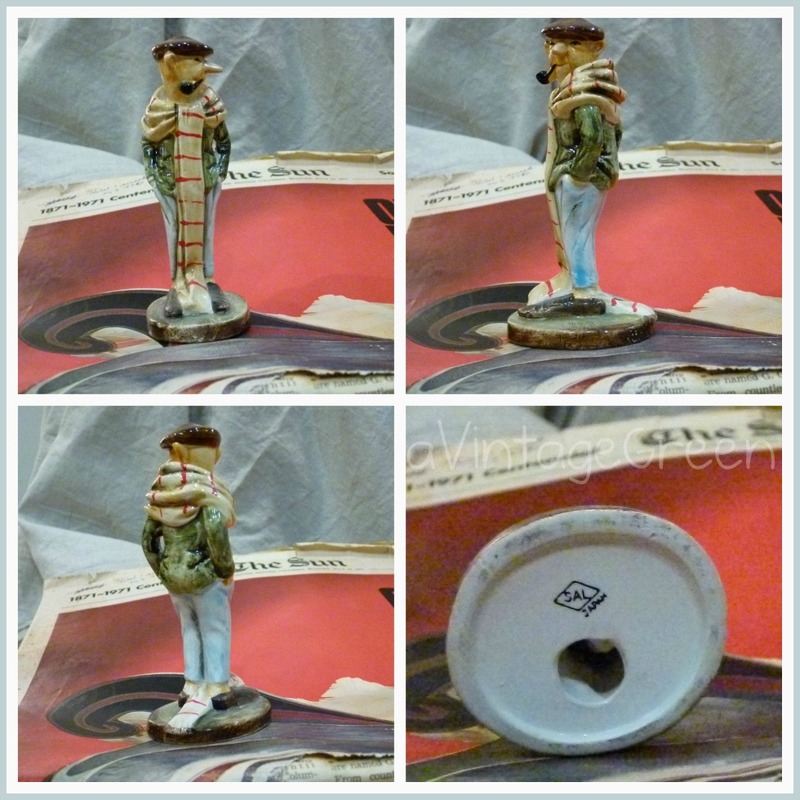 I am curious as to what the value of the figurines are? I have two of these still in the boxes. Are you interested in buying them, and what are they worth? 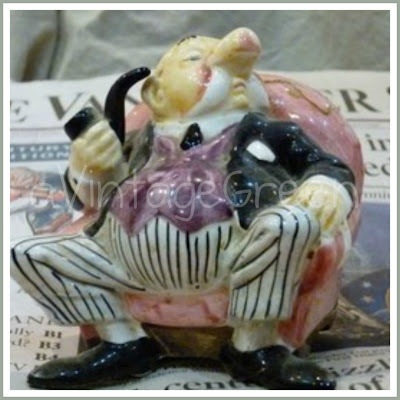 If you were to thoroughly read Len Norris's brilliant cartoons instead of merely regarding these figurines as isolated pieces, you would know that the "old gentleman" is not a portrait of Norris himself (what a silly notion) but instead depicts a member of the Victoria Conservative Club, an imaginary institution Norris invented to poke fun at both stuffy old-school Conservatism and Victoria's then-reputation for fusty Britishness (how things have changed). Similarly, the gentleman with the scarf is not a "British Gentleman" but rather a character known as Rodney, an Everyman sort who is frequently seen loitering in the urban background of Norris's cartoons, particularly those set in his beloved Amblesnide and Tiddleycove. Lastly, the "scamp" is Filbert Phelps, an all-round hellraiser who foments all kinds of trouble in the company of his dim-witted accomplice and friend, who you for some reason have designated the "shy boy". 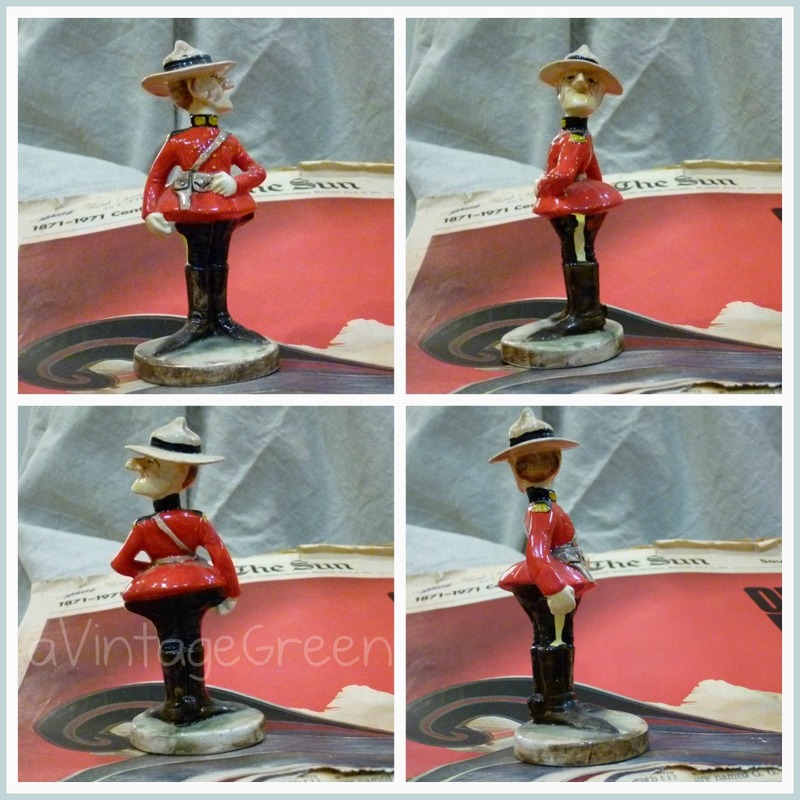 The figurines are cheaply made but still wonderful; I have five of them, and I hope to eventually acquire the rest, especially Hatpin Mary. They turn up at local antique shows fairly regularly. But more wonderful still are the cartoons that gave these characters birth. Seek them out and read them; they are full of delights, especially for connossieurs of cartoon art. The 27 annual Norris collections are not hard to find in and around Vancouver. There was a near-complete run on offer in the Fall 2017 Vancouver Public Library book sale, for a dollar apiece (they sold quickly). There wil probably be more at the next sale, and VPL's Central branch has a complete set. Have a look.